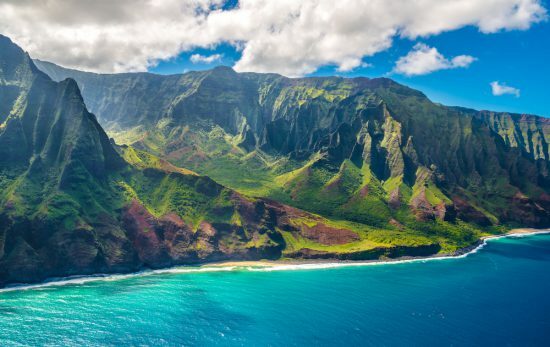 Love scuba diving, history and travel? A career as an underwater archaeologist might be the job for you – if you have the patience and buoyancy skills. 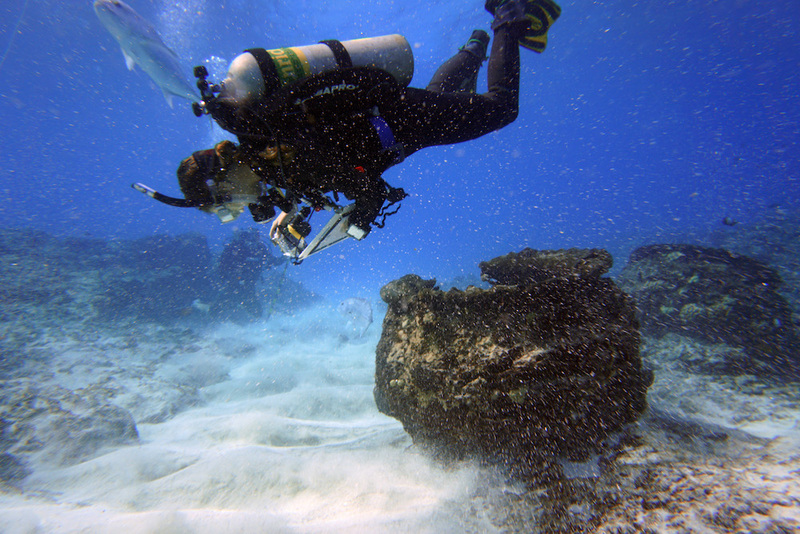 Learn more about what it’s like to work as an underwater archeologist. 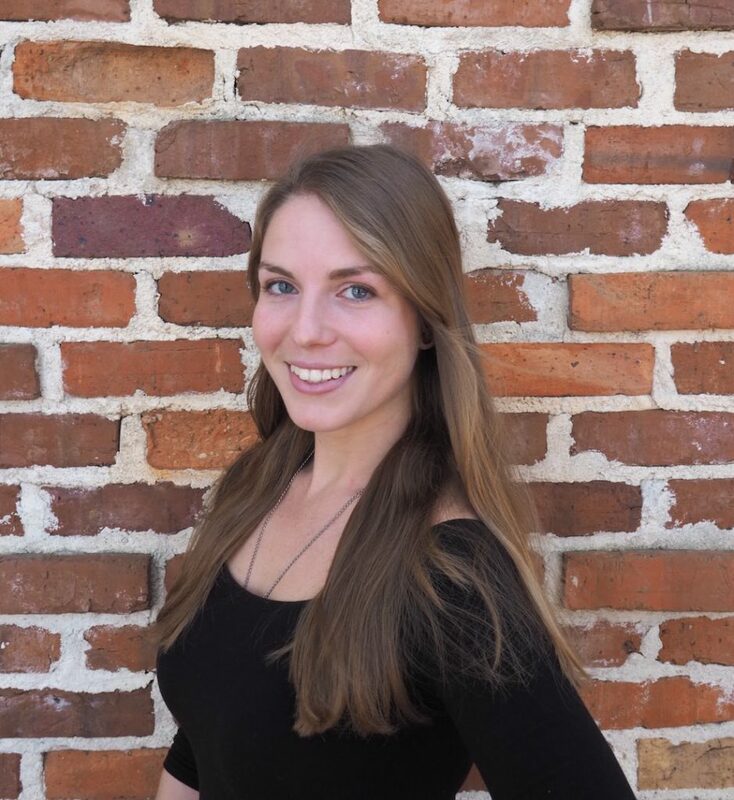 Melissa Price is a PADI Pro currently working at the Florida Bureau of Archaeological Research in Tallahassee, FL, USA as a Senior Archaeologist. 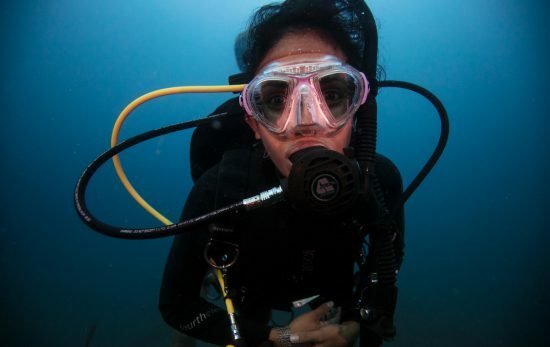 She is one of five underwater archaeologists on staff and the only female on the team. 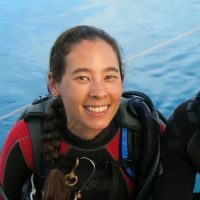 Her duties include: conducting archaeological surveys, assessments, and excavations, participating in public outreach opportunities, report and grant writing, maintaining and operating scuba diving equipment and boats, and other activities related to the discovery, research, management and preservation of archaeological sites. As an undergraduate, Melissa studied anthropology and archaeology. She became interested in scuba diving and underwater archaeology after watching a documentary about the Titanic. 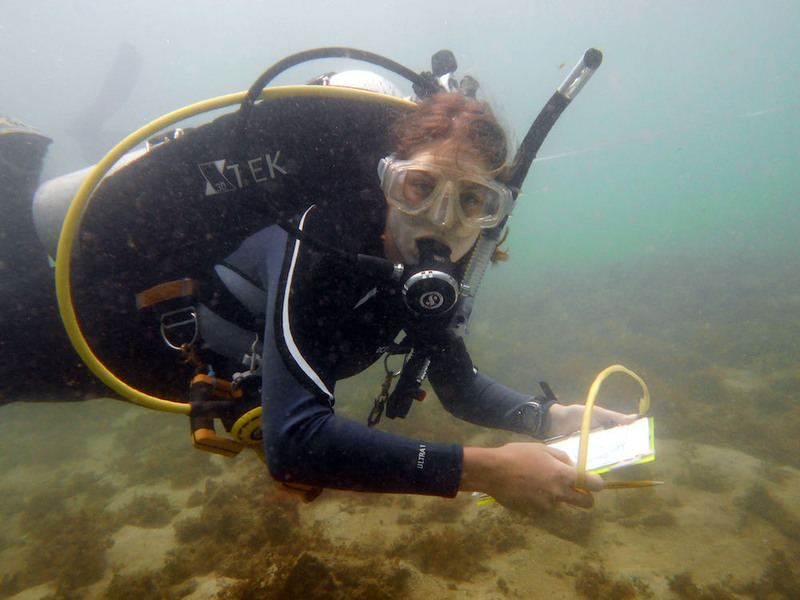 “I told my advisor I wanted to go to graduate school for underwater archaeology. Her advice was to ‘pick something else’ because that field was too hard to get into,” said Melissa. 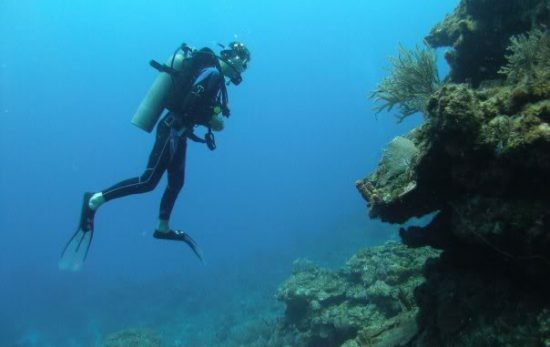 “Before starting at East Carolina University, I worked at a dive shop in Aruba and completed my Divemaster training. I loved assisting with open water classes and leading dives. I learned how to monitor novice divers, and in some cases, had to think quickly to help stressed divers. I found it important to lead by example and foster an appreciation and respect for our oceans,” Melissa said. Melissa spent a month in Papahānaumokuākea checking on known archaeological sites and searching for new ones. During the expedition, her team discovered a long-lost ship. “My team located the USNS Mission San Miguel, wrecked in 1957 at Maro Reef. We were shocked when we came upon it, but even more surprised to see the glass portholes were still intact! Often, when people discover or dive on shipwrecks, they take keepsakes with them, including portholes. Up until then, I had never seen glass in portholes, because they had always been removed by divers. Because this wreck is located in a remote and protected area, the wreck was left untouched. “I always stress to fellow divers not to touch or take anything from an archaeological site. Removing things from historic wrecks is illegal and ruins the overall aesthetic of the site. If every person took something, there’d be nothing left for other divers to enjoy and appreciate,” Melissa said. What Does it Take to Become an Underwater Archaeologist? 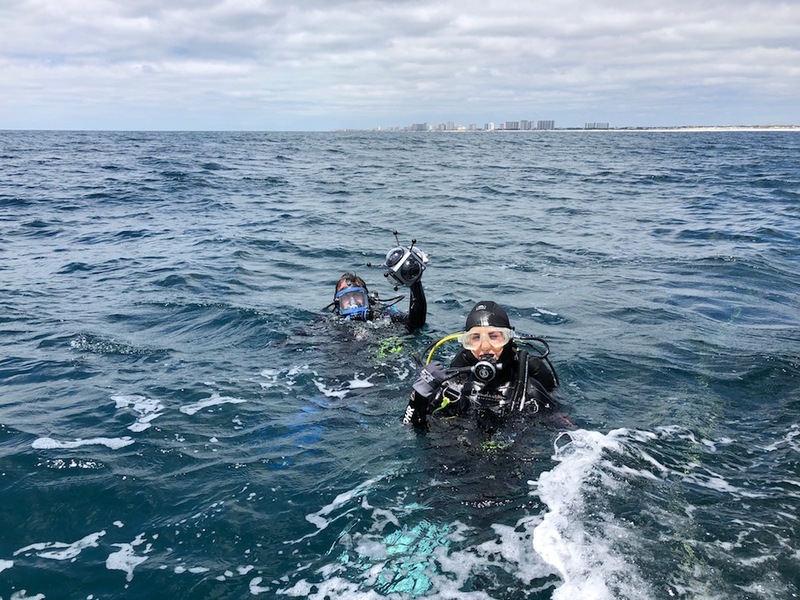 In addition to taking the appropriate courses in school, Melissa has some specific recommendations for skills aspiring underwater archaeologists should have or seek to develop. “Strong underwater buoyancy skills are a must. One misplaced fin can disturb bottom sediments and blow a whole dive while we wait for the water to settle. It’s especially tricky if we are looking for small objects or if the water is already cloudy,” Melissa said. “Archaeology is a slow burn. At our current worksite, it’s taken us two months to excavate a one meter by 50 centimeter (4.9ft) rectangle. When winter approached, we had to fill the entire square with sand and place sandbags on top of it to protect it until we could come back in the summer. There is something bittersweet about filling a giant hole with sand after spending months painstakingly removing sediment and artifacts. “One of the most valuable lessons I’ve learned is that, sometimes, we have to take side quests on our journey to become underwater archaeologists. My advice is to become as well-rounded an individual as possible and to go with the flow. I accepted anything and everything, as long as the position would push me and allow me to learn something new. I knew I could be happy if I could just continue to learn. 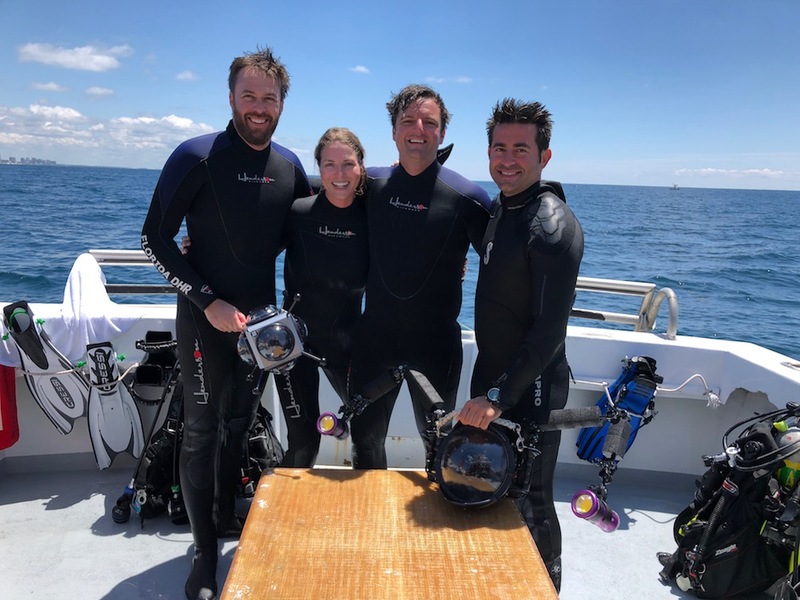 We asked Melissa whether working as an underwater archaeologist was what she expected, or if there have been any surprises. She said, “I thought my underwater archaeological career would only focus on shipwrecks; however, since joining the Florida Bureau of Archaeological Research, I’ve spent most of my time on a prehistoric burial site. Melissa Price recently won first place in the Women Diver’s Hall of Fame PADI® 4 Change Training Grant. Her application was selected over dozens of others based upon her commitment to PADI’s Four Pillars of Change. Melissa received a training grant valued at $2,500US to further her diving education. She completed her PADI Instructor training with Emerald Coast Scuba in Destin, FL, USA. PADI believes divers can be a force for good and agents for change. PADI is proud to support Melissa’s career and look forward to seeing what she does next! • Discover how PADI Professional training can improve your presentation and public speaking skills in addition to other benefits. • Read other interviews from our scuba careers series including: a maritime archaeologist, and a marine biologist. 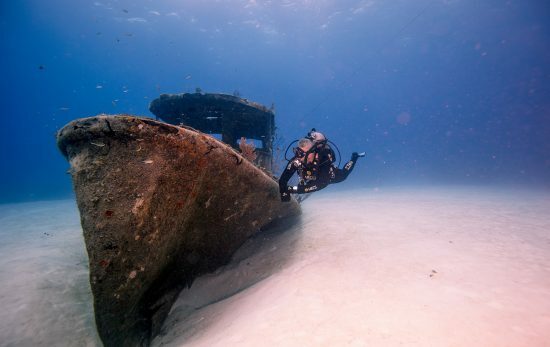 • Learn about the scholarships offered by the Women Diver’s Hall of Fame.